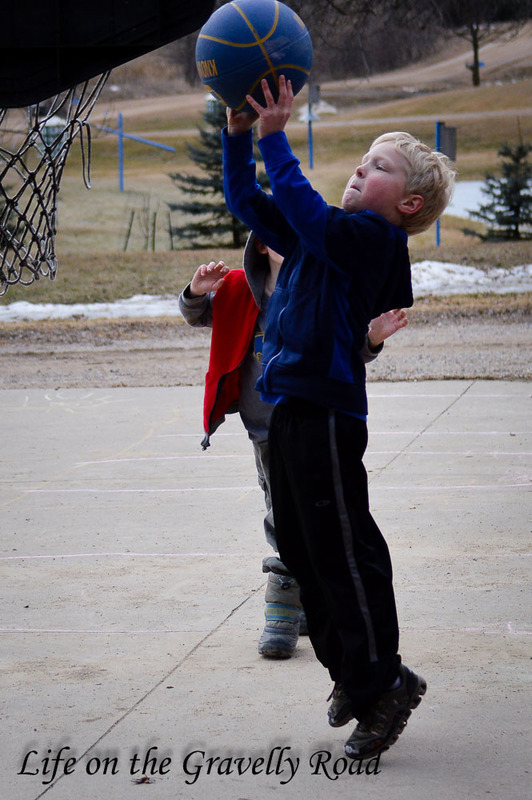 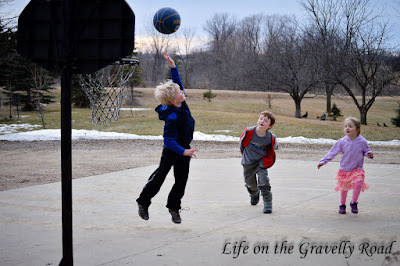 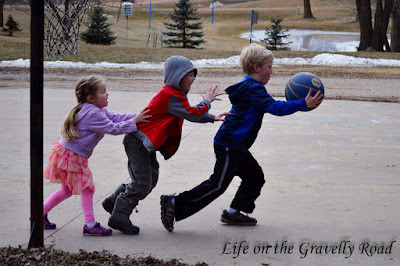 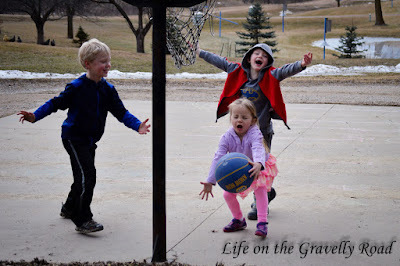 The warmer weather has meant lots of time outside and lately its been a lot of playing basketball in the driveway. 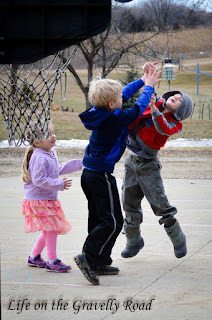 With three, it can be hard to play a fair game but the prevailing agreement is that little sister is a float and plays on the team with the brother that has possession of the ball. 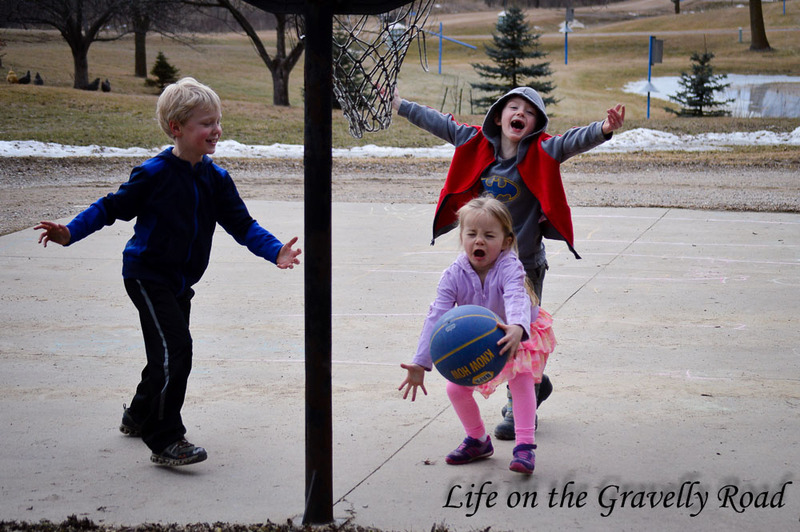 When I've had the camera out, I've ended up with some interesting facial expressions and some fun jumps. Just some fun on our gravelly road.